Oh yea, just a few days after the Big Chop, WildChild continues to try out new hair treatments. Why? Um, because they amuse me. Who knew that you could put so much food in your hair and make it feel lovely? When I woke up at 5:30am today (yea, I know…smh. ), I was like, “You know what? I’m going to have a wake me up shower and put some honey and olive oil in my (wet) hair.” I got this recipe from Thank God I’m Natural, which claims to “blend honey for shine and olive oil for moisture to make your hair softer and shinier.” Sounds great, but I was a little skeptical. Honey? In my hair? I had a flashback to my childhood days when I slept with gum in my mouth and it ended up in my hair. My mind wandered to what I would do if I had to shave my head because honey was stuck in it and I couldn’t go outside due to fear of bees swarming around me. But, come on, when have I ever been cautious (see Tale of the Shaven Head post)? So, here we go: the mixture called for 1/4 cup of olive oil and 1/2 cup of honey – because my hair is super short, I didn’t use all of it, so I put the remainder in my fridge to use another day (obviously, it will need to be left out for a little bit to soften). Spread the mixture all over your head and cover with a shower cap/plastic bag, then leave on for 30 minutes. Yes, this is how I start off my day sometimes. With honey in my hair. Don’t hate – it wakes me up. After the 30 minutes were up, I hopped in the shower to rinse, and wow, my hair really felt soft. Also, when this treatment runs in your face while you rinse, it doesn’t taste nasty like mayo, haha. 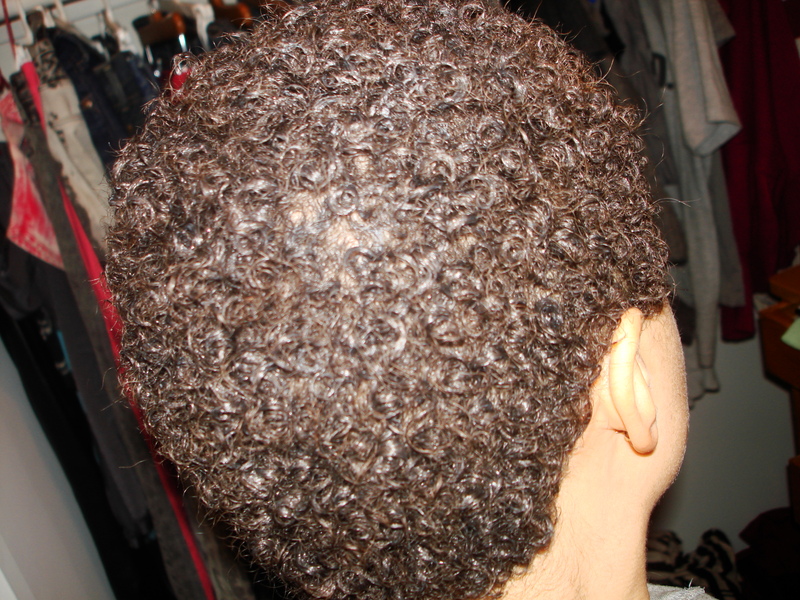 In fact, I think it was the best conditioning treatment I’ve done thus far. I don’t think my hair really likes protein treatments, so this one was way better. I did a fire quick cowash with my TJ’s condish, used it for a leave-in, then added my AfroVeda Cocolatte Moisture Mask and PUR Whipped Gelly, and went about my business. So far…my hair is still drying, but it feels very soft and looks pretty shiny with minimal frizz (I’m trying to not touch my hair). Me likey. I’ll probably use the rest on NYE so I can go out with my hair all shiny and silky (or…lack of hair, whatever, haha)!! Elle, do you apply the EVOO and honey to wet or dry hair? Thanks. Im not sure if you ever mentioned this but when you rinse out the evoo n honey is it suppose to be with warm water to keep the cuticle open than when you condition use cold water to wash out the conditioner. ( if this has already been answered sorry)! I don’t use cold water on my hair. Everyone is different so it is important to decide what your hair likes. I tried this Sunday, except I added coconut milk to it. I love the hold it gave to my curls. After rinsing it out I ran a little v05 moisture milk condish through it (which I probably could have done without). I haven’t had to do anything more than fluff and go since I’ve used it. Anywho, my question is, is there anyway (that you know of) to make this okay to use as a leave-in? If your hair likes it – it should be fine. Those ingredients aren’t bad for hair. thanks Elle for the update (well the link)… since I keep my internet up and running… sometimes I don’t see your new posts until after I ask my questions I will be trying this one now. You’re welcome! And no worries about the new post, I’m just trying to streamline the site and make the comments/questions more efficient.